Hey, everyone! 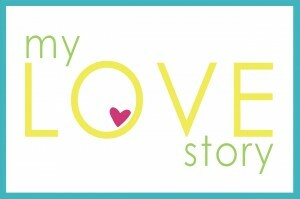 I am Tiffany and I blog at picsandpastries.com. 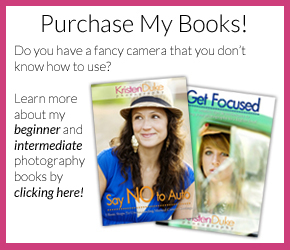 I am thrilled to be a contributor here at Capturing Joy. I love to bake and take photos and my blog is an outlet for both of those things. 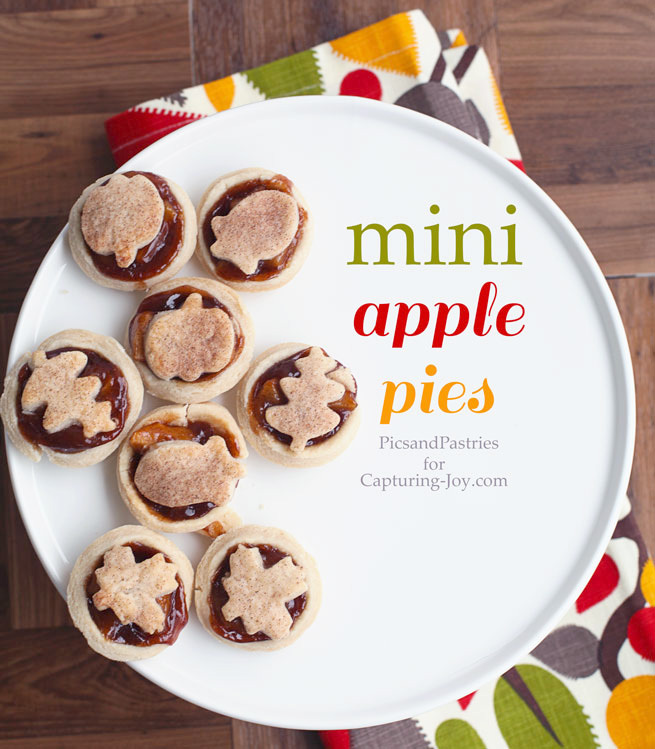 Speaking of baking, these mini apple pies are crazzyzyy delicious and absolutely adorable. I baked these on the back side of a mini muffin pan rather than baking them inside the muffin pan. By doing this, I was able to get more of the delicious apple pie filling into each individual pie crust. Believe me, you want more of this apple pie filling in each bite. I used a smaller size biscuit cutter to get the circle shapes. Then, I gently placed each circle on the back side of a muffin cup and gently pressed it onto the pan. I did not have any problems with tearing, but if you run into that just pinch of some excess dough and cover it up. After the pie cups bake for around 15 minutes I allowed them to cool on the pan for about 5 minutes and then placed on a wire rack to cool completely. Once completely cooled, fill with the apple pie filling and top with more pie crust. I used my miniature cookie cutters to create fall shapes, which is perfect since these are too small to do a lattice top. Well, you could do a lattice top but the cookie cutter is easier and just as cute. I brushed my pieces with melted butter and sprinkled with cinnamon sugar mixture. Next, gently place on top of the filling and bake again for about 15 minutes. 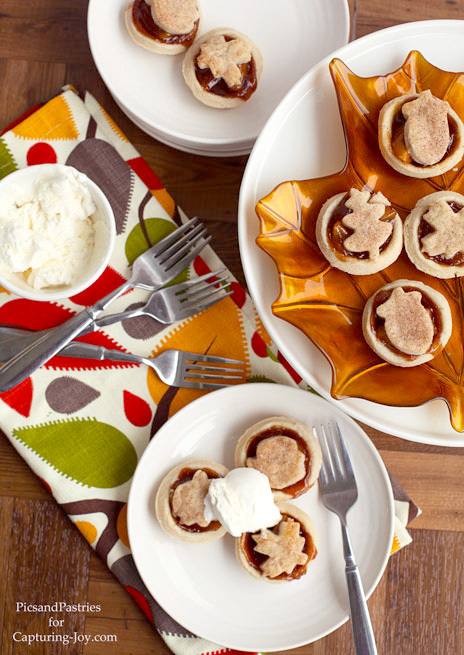 These mini apple pies would make a great dessert for Thanksgiving. I know that I like to have a little sliver of just about everything at the dessert table and this is a great way of being able to do so. 🙂 Another great thing about these mini apple pies is that you could buy everything you need pre-made at the store and make it a semi-homemade dessert.This recipe includes my homemade apple pie filling and I believe you will find it to be delicius. It made more than what I needed so feel free to cut the recipe in half. I placed the rest in a mason jar and am going to use it for my morning oatmeal. I hope you enjoyed today’s recipe. 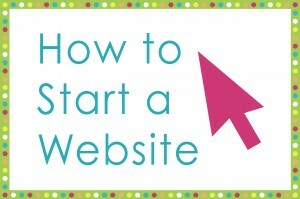 I would love for you to check out what else I’ve cooked up. 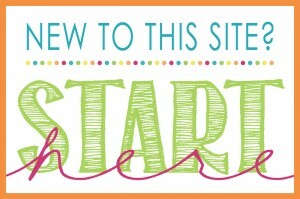 You can read my blog here and follow me on Facebook, Twitter, Pinterest and Instagram. Measure flour and salt; place in bowl. Cut shortening into the salt and flour until it looks like cornmeal. Mix with fork just until blended. Roll onto a floured surface. Using a smaller size biscuit or circle shape, cut shapes out of dough. Wrap around the backside of the mini muffin pan, pressing to touch the muffin part of the pan. Remove and allow to cool for 5 minutes then remove from pan and place on wired rack to cool. Fill with the apple pie filling. 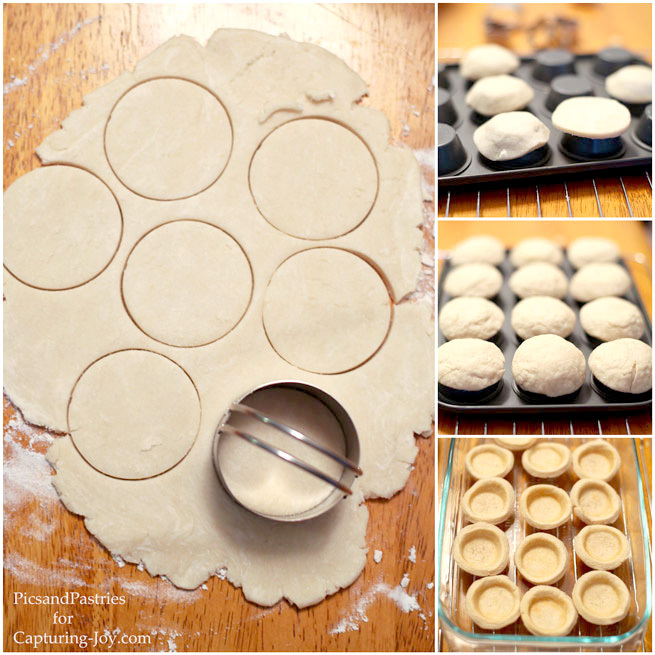 Using remaining dough, cut out shapes using mini cookie cutters. Chop apples and place in a bowl. In a large stockpot or dutch oven combine water and begin heating. Try to break down any clumps of brown sugar. Once the water has started to boil add the flour/spice mixture whisking mixture into the water. Allow the mixture to come to a boil and stir often. Add apples to the boiling mixture and stir often while cooking over medium heat for 30 minutes. I left the lid on for the fist 20 minutes and only lifted to stir the mixture. Use a spoon to test the tenderness of the apples, which should be soft to the touch, once done. Allow to cool and use in pie crust or place in a jar in the refrigerator. I recommend using this mixture within two days. If using in mini pies use about a teaspoon amount. I used the spoon I would eat cereal with to fill my cups. Then top with the decorative piece of dough that has been brushed with melted butter and sprinkled with cinnamon sugar. 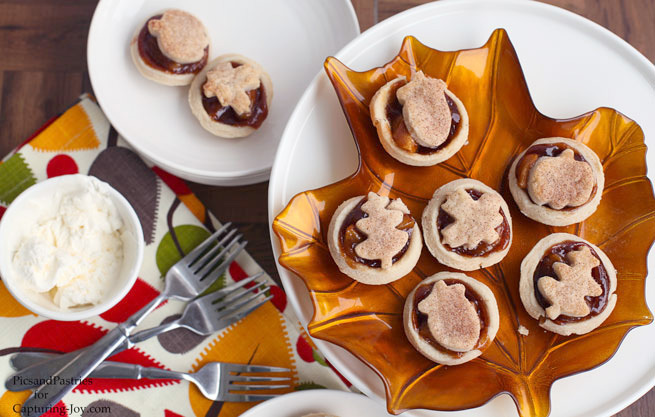 Place mini pies in a baking dish and bake for 12-15 minutes. 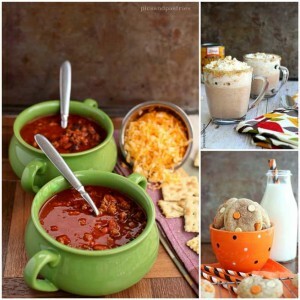 Here’s a few recipes that you will find on my blog.